Currently very popular are the sausages. 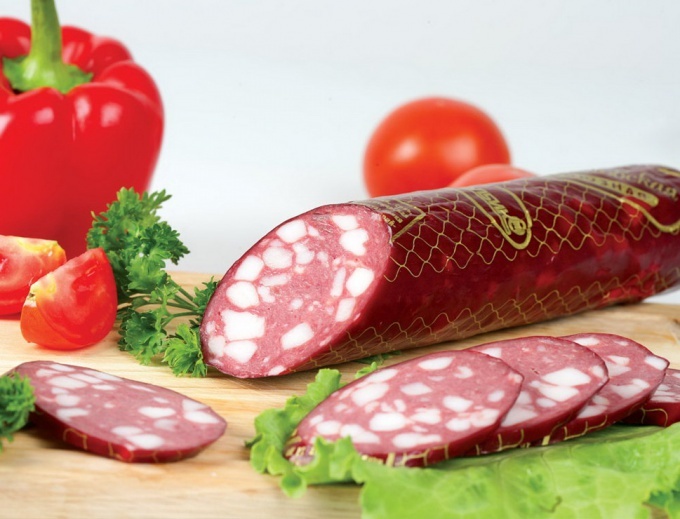 They are prepared from minced prosolennogo at a temperature of 80 degrees. Shelf life of boiled sausages – no more than three days. Cooked-smoked and semi-smoked sausages can be stored in the refrigerator up to two weeks. 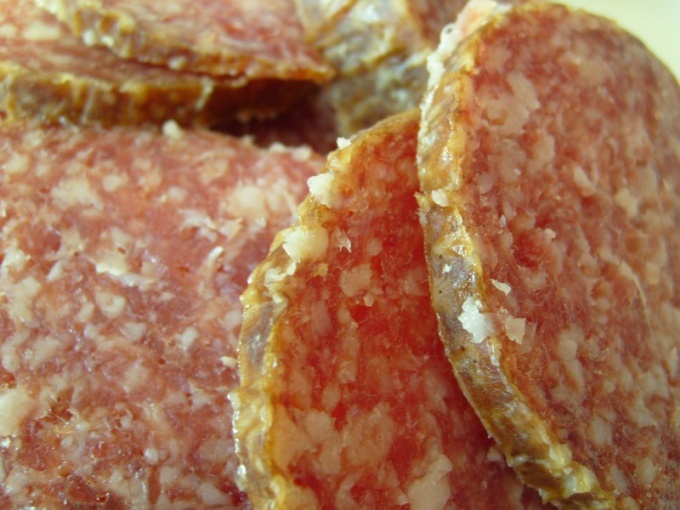 Smoked sausages have a very long shelf life – up to one month. Despite these terms, any sausage requires proper storage conditions. If the ham is a little dry or a little dried out", put it on 30 minutes in a bowl of cold milk. If the sausage there was mold, dip it in very salty water for 2-3 minutes. Remove and wipe with a clean cloth. To cut the end of the sausage is not "a little dried out", lubricate it with a small amount of fat or egg white. If the sausage was a bit slippery, rinse it in cold water and fry in vegetable oil. If you bought the sausage and want to use it only a couple of weeks, take 3 tablespoons of salt and dissolve in 2 cups of cold boiled water. Immerse in this solution the sausage for a few minutes. Then remove, allow it to dry, wrap in parchment paper and place in the refrigerator. In this way the sausage will stay fresh and almost never lose their taste. In any case, do not use a sausage that has changed color or smell. Do not try to save it. Throw away without hesitation! Otherwise, you risk getting severe food poisoning.